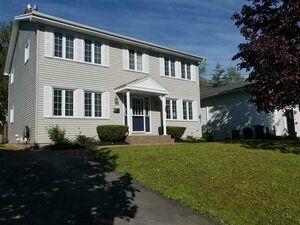 Fv69 328 Fleetview Drive, Halifax (MLS® 201900923): Welcome to Cresco -The Art of Building! Cresco is excited for you to see another one of our ENERGYSTAR certified designs located on Fleetview Drive in Bedford South. This re designed proven layout gives you the value and construction quality you would expect from a Cresco home as well as functionality and energy efficiency providing you long term affordability. 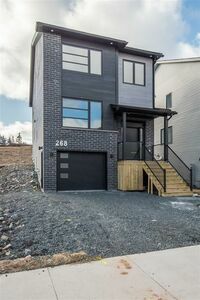 Along with all our quality finishes and fixtures this home offers electric heat with 2 ductless heat pumps, large deck, hardwood floors and stairs, quarts counter tops and an open concept design with large windows. Upstairs, the Master Bedroom features walk in closet and Ensuite with double vanity and shower. Also on this top level, two other great sized Bedrooms, Laundry room, and main Bath. 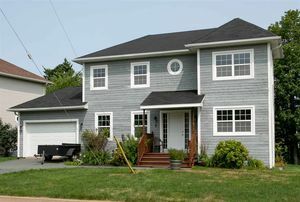 The lower level gives you plenty of storage space, another full Bath, 4th Bedroom and Rec Room with a walkout to a partially fenced backyard and green space. 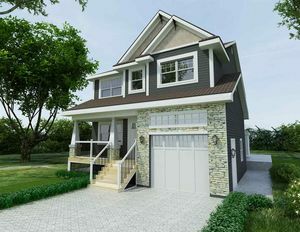 This is your opportunity to live in a quality built, energy efficient home in Bedford South close to all the amenities you and your family will need. Questions about FV69 328 Fleetview Drive (MLS® 201900923)?